More than ever, homeowners are opting toward the “DIY” (do-it-yourself) attitude in Chicagoland home remodeling. There are definite pros and absolute cons to this approach, and we will look at both sides. 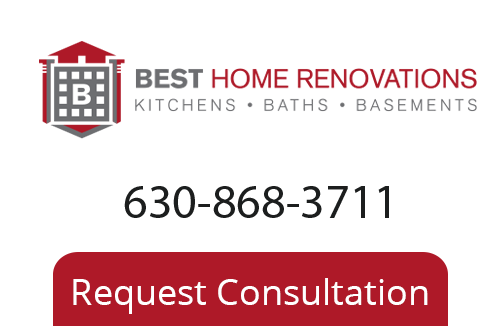 The beauty of using a DIY approach to a bathroom or kitchen remodel in Chicagoland is that you can potentially save thousands of dollars on designers fees; the bottom line to the DIY movement is “why pay for it when you can do it yourself?” This makes sense for small projects, particularly one day home repairs. However, what the DIY approach fails to account for is something that seems under-appreciated by some consumers, and that is expertise. It simply does not always make sense to do-it-yourself if the skills required for the job are too far outside your scope of knowledge. Like many people today, I place a very high value on my time. For me, it just doesn’t usually make sense to try and save a small amount of money if a project is going to take me an entire weekend; the cost-of-my-time ratio does not equal value for me. That being said, for committed DIYers, the good news is as follows. There are more tools than EVER available to you on the internet. Here are a few of our favorites to get you started. For incredible ideas on how to use tile to make a statement, check out the gallery at Artistic Tile for ideas. For ideas on tile patterns or tile layout, visit the site of Marazzi Tile and use their patterns sheets to help you play with ideas. Have fun searching these sites, and remember, this is just the tip of the iceberg! Your possibilities are literally endless; feel free to shoot us an email with questions about your tile pattern or tile layout questions any time.